DATA DRIFT exhibition presents a number of works by some of the most influential data designers of our time, as well as by artists who use data as their artistic medium. How can we use the data medium to represent our complex societies, going beyond "most popular," and "most liked"? How can we organize the data drifts that structure our lives to reveal meaning and beauty? (And can we still think of "beauty" given our growing concerns with privacy and commercial uses of data we share?) How to use big data to "make strange," so we can see past and present as unfamiliar and new? Curated by Lev MANOVICH, Rasa SMITE and Raitis SMITS, the exhibition will feature artworks and data visualization by SPIN Unit (EU), Moritz STEFANER (DE), Frederic BRODBECK (DE), Kim ALBRECHT (DE), Boris MÜLLER (DE), Marian DÖRK (DE), Benjamin GROSSER (US), Maximilian SCHICH (DE/US), Mauro MARTINO (IT/US), Periscopic (US), Pitch Interactive (US), Smart Citizen Team (ES), Lev MANOVICH / Software Studies Initiative (US), Daniel GODDEMEYER (DE/US), Dominikus BAUR (DE), Mehrdad YAZDANI (US), Alise TIFENTALE (LV/US), Jay CHOW (US), Semiconductor (UK), Rasa SMITE, Raitis SMITS/RIXC (LV), Martins RATNIKS (LV), Kristaps EPNERS (LV). The exhibition website includes information and images of all shown artworks. The Exhibition Opening program includes public talk in the Renewable Futures conference by the exhibition curator Lev MANOVICH, that will take place on October 9th at 17:00 at the Stockholm School of Economics in Riga. The talk will be followed by the official opening of the exhibition at 19:00 in the kim? Contemporary Art Center. The DATA DRIFT exhibition is featured event in this year's RIXC Art Science Festival program, taking place in Riga from October 8 to 10, 2015. 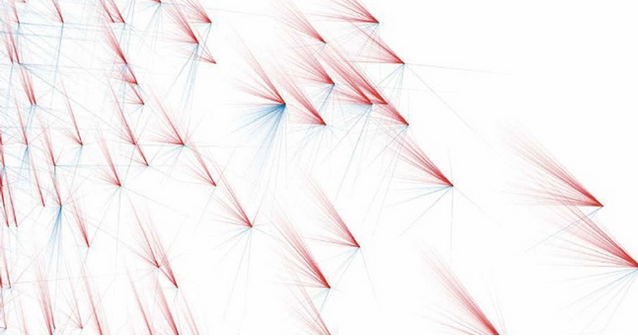 The DATA DRIFT exhibition will be open from October 10 to November 22, 2015 in Riga. Venue: kim? Contemporary Art Centre gallery, Maskavas street 12/1, Spikeri Creative Quartier, Riga, Latvia. Opening hours: Mon – closed, Tue 12:00–20:00 (free entrance), Wed–Sun 12:00-18:00.